It’s October which means we are officially in the Fall season and I am very excited about it! I have already welcomed Autumn by adding leaves, scents and warm colors into our home and you can how in my Fallin’ on a Budget post. The weather this weekend was beautiful and Orlando pleasantly surprised me with temperatures in the 60s, which got me even more into the Fall spirit. 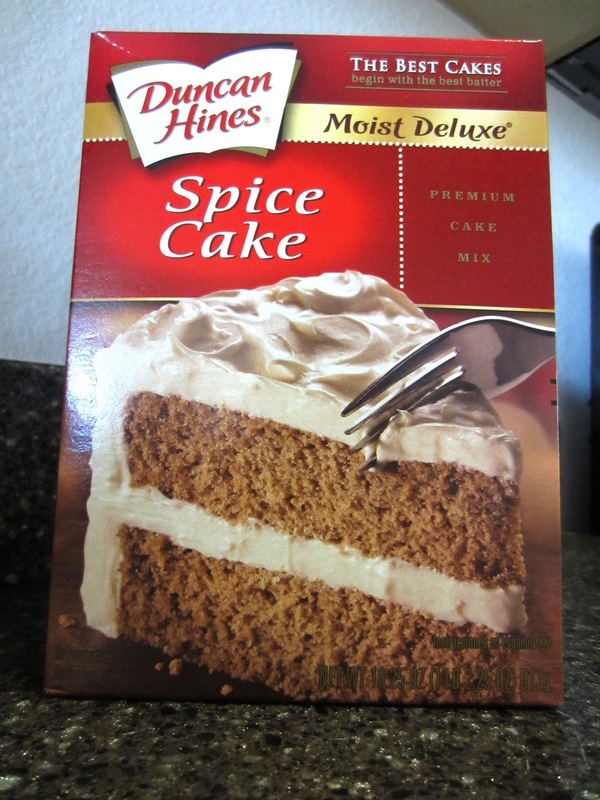 My favorite fall food? ANYthing Pumpkin! Really…pumpkin pancakes, coffee, bread, cookies, seeds, pies…I am all about the pumpkin and it’s seasonings. First on the list for baking this season is a recipe I found on my favorite phone app, Spark Recipes. 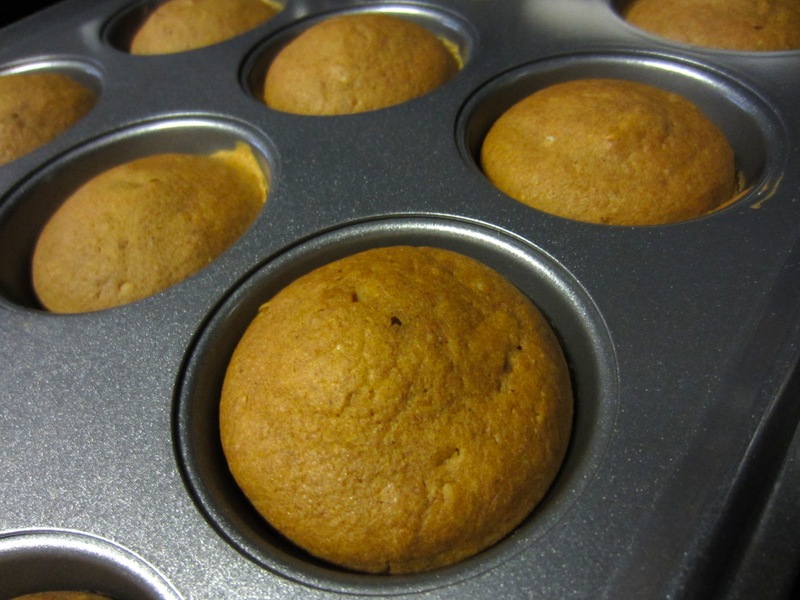 I was craving pumpkin all day on Saturday and decided on my way home from work I wanted to bake something, but didn’t want anything too complicated. With a simple step of typing the word “pumpkin” in the search box of my app I found this wonderful recipe. 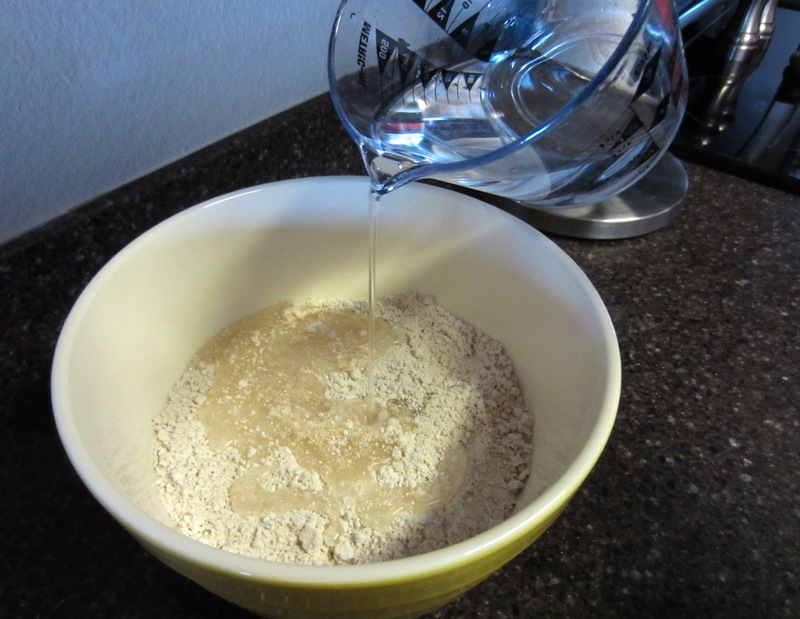 *BONUS: There’s only 3 ingredients & everything cost under $5! 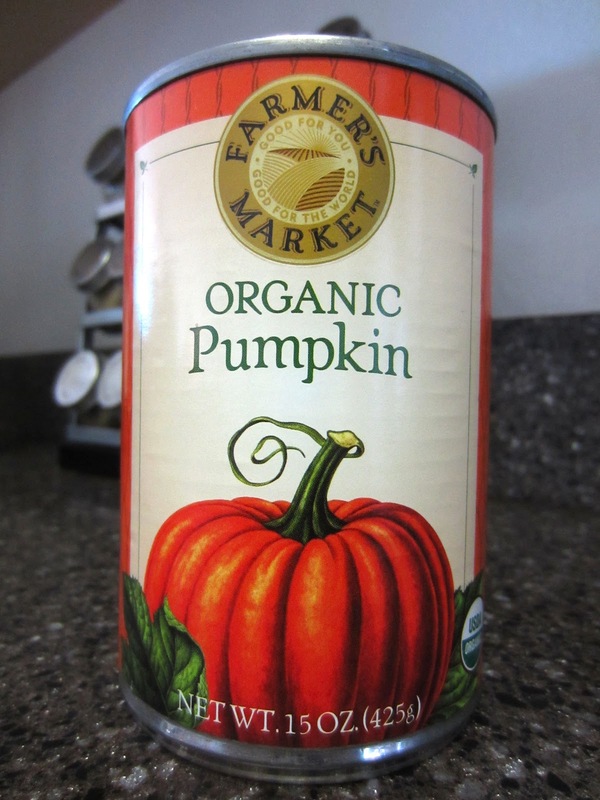 Canned pumpkin is low in calories and fat and is considered a food full of nutrients. It is high in vitamins and minerals and includes considerable amounts of Vitamin A, C, fiber, carbohydrates, iron and calcium. I got this information from Livestrong.com and here you can read more about Canned Pumpkin Nutrition. *NOTE: Be careful not to confuse a can of pure pumpkin for a can of pumpkin pie mix. Recipes usually call for one or the other, so be sure you pick up the right can for yours! To make pumpkin spice muffins: open the box of Spice Cake and pour into a mixing bowl. Add in the cup of water and mix until cake mix is smooth. 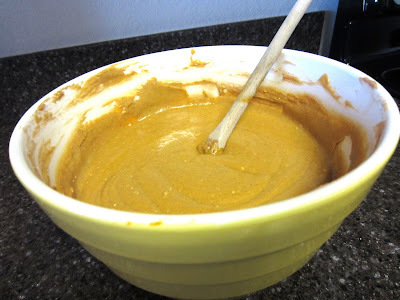 Add the pumpkin to the spice cake and water and mix until batter is smooth. 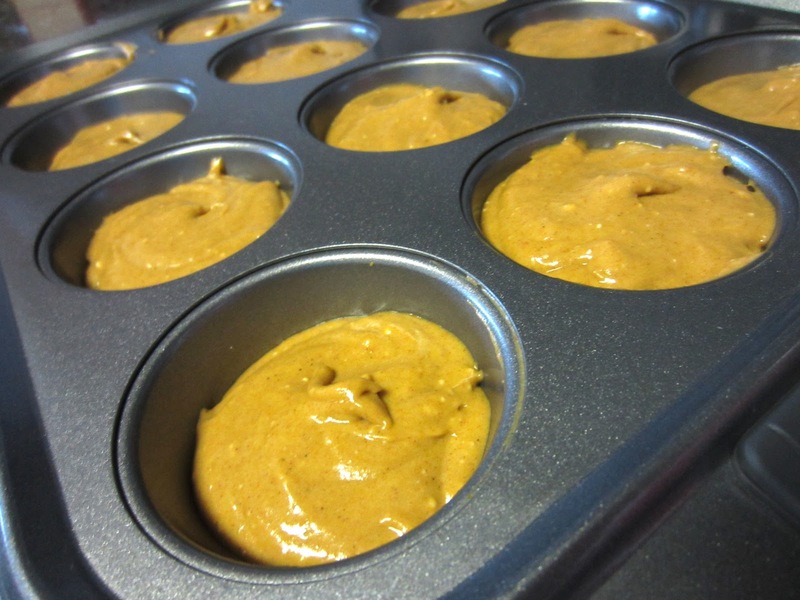 Transfer batter into a muffin tin. I used 2 to make 24 muffins. 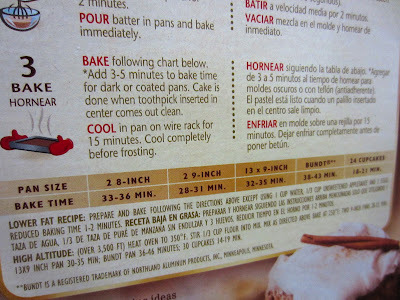 Bake 18-21 minutes, or as directed on the spice cake mix box. Cool muffins for 15 minutes before taking them out of the cupcake pans & Enjoy! 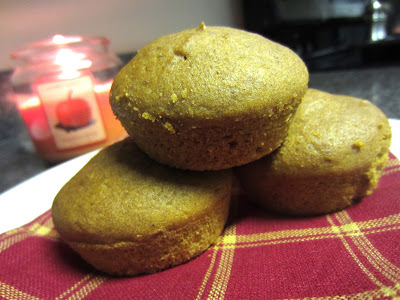 A pumpkin spice muffin for breakfast, a snack or even dessert for under 100 calories? Sign me up! What would be a good pairing with these? Pumpkin Spice Coffee, of course. 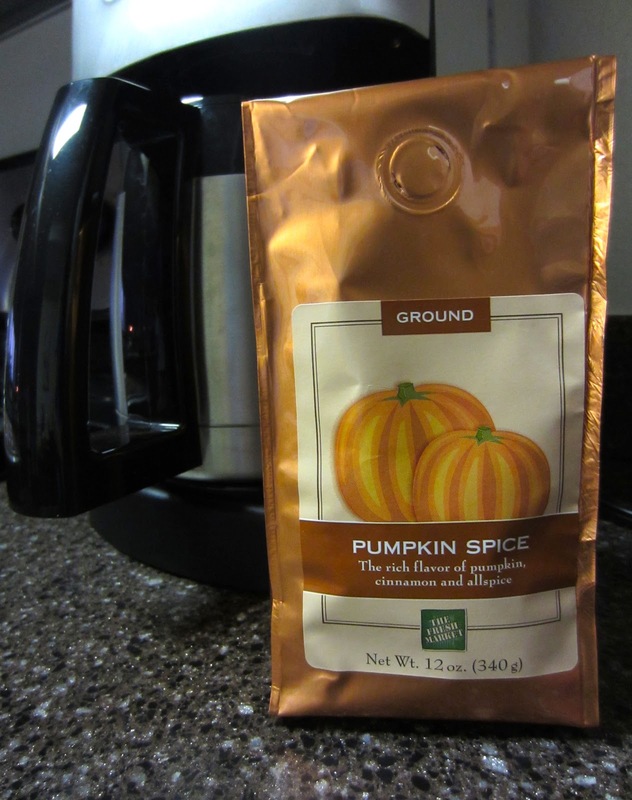 My favorite flavored coffee is the Fresh Market’s Pumpkin Spice – hands down. It comes in both regular or decaf, and you don’t even really need to sweeten it with cream or sugar. Find it in stores or online: Fresh Market Seasonal Coffee. After sharing these muffins with my family and friends, almost half of them went home to make a batch of their own within the next couple of days. I drop a comment when I especially enjoy a article on a website or I have something to contribute to the conversation. Usually it’s triggered by the passion displayed in the article I looked at. 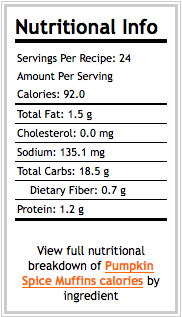 And on this post Pumpkin Spice Muffins . I was actually moved enough to drop a thought 😉 I actually do have 2 questions for you if it’s allright. Is it only me or do a few of these responses come across as if they are written by brain dead people? 😛 And, if you are posting on other online social sites, I’d like to keep up with anything fresh you have to post. Would you list the complete urls of your community pages like your Facebook page, twitter feed, or linkedin profile? Thanks Fritz! I really appreciate the support! You can also subscribe to my posts by entering your e-mail in the Subscribe box on the right sidebar or checking Subscribe up at the top! Extremely rated post. I study something totally new on different blogs everyday. Deciding on one . stimulating to read the paper content from different writers and study a bit of one thing from their website. I’d like to use sure of this content material on my weblog you’re mind. Natually I’ll give a link here we are at your internet-site. Recognize your sharing. Who and where to edit this summer on furlough, appropriation your information.